Bobby Prigel smiles a lot. He’s a guy you’d want to sit down and have a drink with while you swap stories. He’s fun, and kind, and friendly, and, well, just that kind of guy. Bobby Prigel’s smiles melt the snow, but his dairy herd produces milk that makes top shelf ice cream. He’d probably even smile as he told you about the six figure lawyer bills his farm has racked up, or the hundred dollar round bales he has bought to feed his herd. The thing is, even with all the bills and stress Bobby and his family have been through, they are making their family farm not just endure, but succeed. So he has every right to smile. The Prigels have been dairy farming in Long Green Valley for going on 120 years. In 1895, John Mathias Prigel started sharecropping just north of Baltimore, Maryland. He bought the land in 1906 and the family kept farming. About a hundred years after his great-grandfather started Bellevale Farm, Bobby stepped into the boots of the family farm. After a lot of hard work and thought, Bobby took the family dairy farm from a conventional farm to grass-based management. At first, it didn’t work too well. They had just bought a computerized feeding system, and weren’t too sure about what they wanted to do with the pasture, so they left the gate open, letting the cows walk back to the barn when they were done grazing. When it was hot, Bobby said, the cows beat them back to the barn. After a few tries at that, Bobby figured the only way to make grazing work was to go was all in. The gate was closed, and the cows were out on grass. They haven’t been back in the barn since 1996. The herd goes to a new pasture after milking. The barn and parlor are in the distance. The next morning, they will cross the road beyond the barn and visit the pastures there. 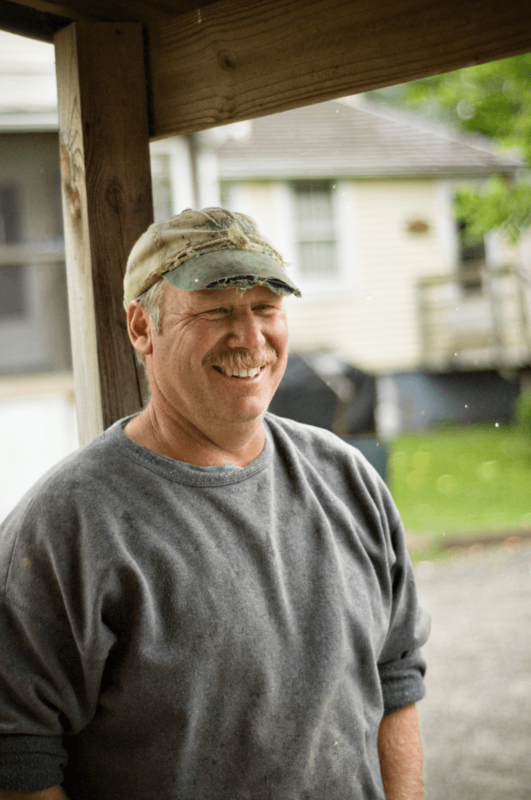 In 2008, Bobby and his family took the farm organic. They had been there in practice for some time, but still, going organic was costly. During the transition, Bobby had to buy in feed, spending almost $100,000. For a while, Bobby had stopped making hay. He crunched the numbers and calculated that he could buy it more cheaply than he could harvest it. That changed when he went organic. Now he’s looking at $75-$100 for a round bale of high quality alfalfa, delivered. With those costs, he’s back to haying, paying about $30 for his hay to be harvested and delivered from the 100 or so acres of hayfields he rents. Rented hayfields doesn’t quite describe it though. Most of the land Bobby hays is owned by folks with lawns larger than they enjoy mowing. 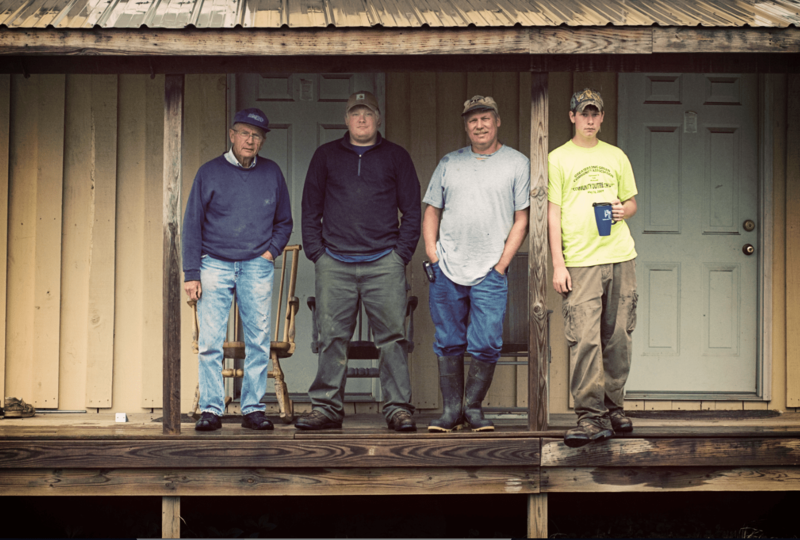 Having Bobby hay their land means they don’t have to mow, and they get the bonus of helping a local farmer. To keep the family farm going, and to provide opportunities to the next generation, seven years ago, the Prigels built a creamery for their milk. At the creamery, they make yogurt, milk, and ice cream. The creamery is holding its own, which is a bit of a miracle after all its been through. What happened is this: although state and local agencies and organizations were thrilled to pieces about the Prigels’ planned creamery, someone in the area was really upset about the idea. That someone has very deep pockets, and instigated and supported plenty of lawsuits to fight the construction and development of the creamery. His lawyers referred to the five lawsuits filed as “death by a thousand paper cuts.” Of the five lawsuits filed, four have been dismissed. One last lawsuit is still active, but Bobby is optimistic about that one as well. The costs of going organic were dwarfed by lawyer fees. Paying lawyer bills put the grain bill out of reach. They had already cut back on grain, and had been breeding the herd of Jerseys to produce with less grain. Faced with the mounting lawyer fees, though, they jumped to grain-free. That was three years ago. This year, they are seeing that it was the right choice. 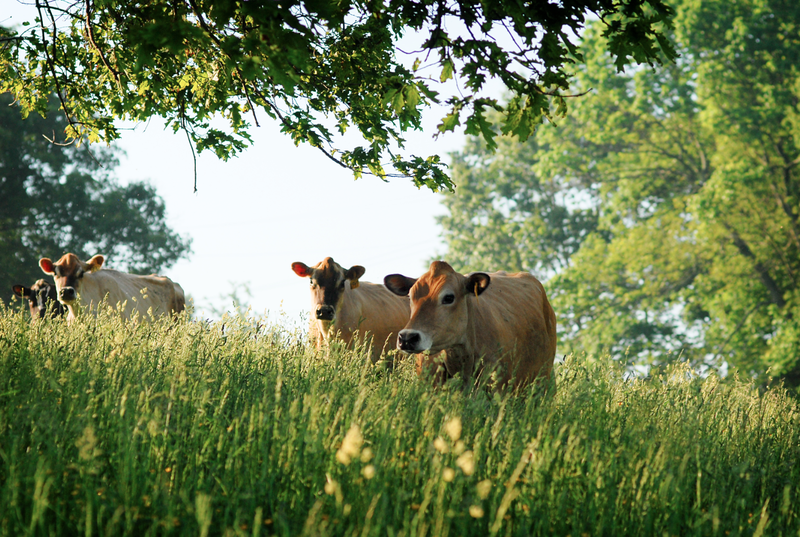 As the legal battles are receding, pasture and hayfield management is taking center stage again. 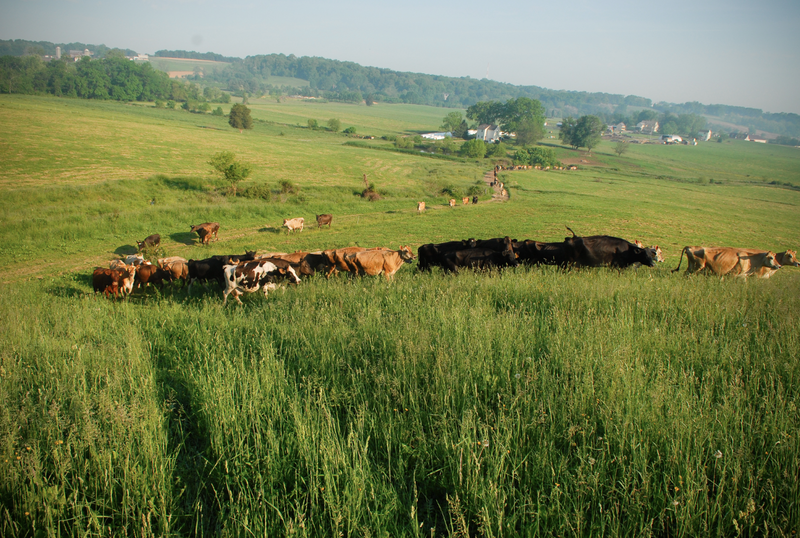 The herd grazes the pastures behind the barn each night, crossing the road to fresh pasture after the morning milking. The Prigels rely on temporary fencing, and they re-size pastures regularly over the growing season. Sometimes pastures get cut in half; sometimes they double in size. 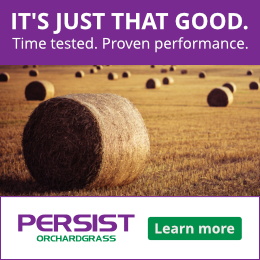 Because the herd gets fed on the pastures through the winter, the macronutrients, like nitrogen, phosphorus, and potassium (N-P-K) aren’t a problem. But they’d like to address micronutrients there. 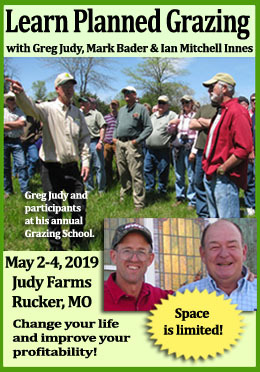 The hayfields need more fertility overall, and as the budget gets healthier, there will hopefully be money to buy in chicken manure, that they would then compost before spreading. Their herd average is low, at 5000 lbs/cow. 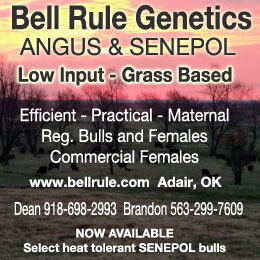 During the winter production goes down when the cattle are eating stored feed. It goes up again when the cows go back out on grass. The herd used to be seasonal, drying off in the winter, but with the creamery, they are milking year round. Right now, that’s 80 milkers, but they will go up to 120 over the summer. They are expanding the herd, and moving to about 140-150 head. 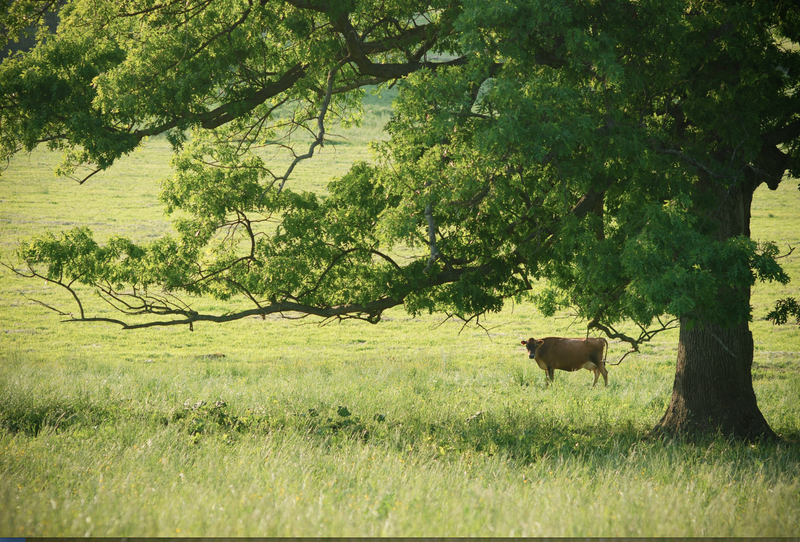 A cow at the Prigels’ Bellevale Farm contemplates life. Can’t be too bad, since ice cream is involved- made just across the road from the milking parlor. Herd health has been great overall, with a cull rate below 10%. They haven’t had a twisted stomach or a hoof trimmer since they went out on grass more than twenty years ago. Most of the cows are productive for 15 years or so, far more than the four years most conventional farms get from their cows. 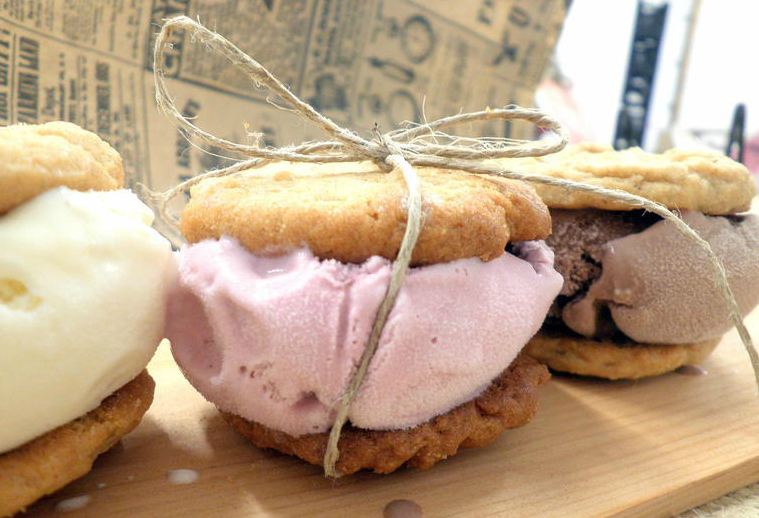 The rocky start for the creamery doesn’t show when you walk in to the cool airy store. Along with the ice cream, milk, and yogurt, there is meats, eggs, soap made from the farm’s milk, and wood bowls crafted by Bobby’s dad for sale. Creamery products are also sold through Whole Foods, Giant (a mid-Atlantic grocery chain), local grocery stores and restaurants. They are also shipping about 1400 lbs/day to Horizon to balance their production. That guarantees that he has a home for what isn’t getting used at the creamery. They are also raising beef for sale at the creamery and as part of a meat company called Genuine Foods. 60 lbs of meat, 20 lbs/month. over 3 months. 50 subscriptions/quarter now, aiming to double. CSA uses pigs, neighbor raises the beef, Angus/Jersey cross. Three generations of Prigels under one porch. Bobby’s father stands at the left, and Bobby is flanked by his sons Bo and Matt. Between the Prigel Family Creamery and Genuine Foods, there is room for the next generation. Bobby and his wife Pam have three children. Matt, their youngest, is now working full time on the farm and plans to stay that way. Their son-in-law Kelvin is is the general manager of the creamery, and their daughter Mandy runs events and catering. Bobby and Pam are starting to think about transitioning the farm to the next generation. For now, though, when the last foot of snow recedes from the pasture, Bobby is thinking of how to improve his land for his herd, a focus he is glad to get back to. Those cows are making ice cream for Marylanders, and the Prigels want to make sure it is great! What Should I Do About My Pasture Weeds? This is the model that needs to be replicated all over the country.